C.P. Snow’s Two Cultures essay famously eschewed the separation between science and art and there have been many attempts to bridge the gap between these two epistemological projects. When he coined the term “disenchantment,” Max Weber was referring to the increased scientism that made it impossible to entertain metaphysical conceptions of the world. One of these began around the same time that Snow and Weber addressed these matters. In his review of two books, The Russian Cosmists: The Esoteric Futurism of Nicolai Fyodorov and His Followers and The New Age of Russia: Occult and Esoteric Dimensions (“Gathering Dust,” TLS, 11/22/13), Eric Naiman describes the work of Nikolai Fyodorov. 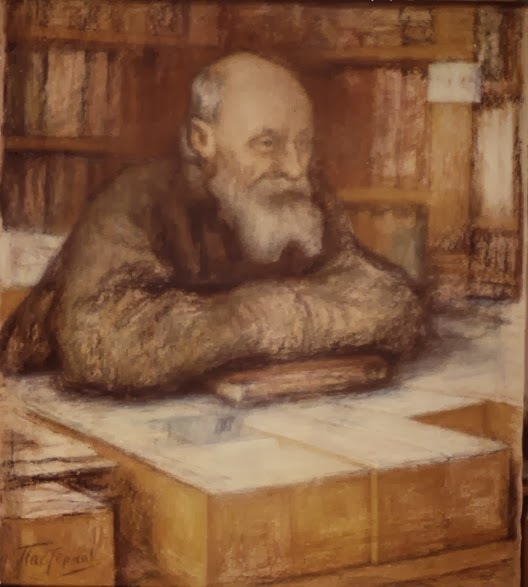 “According to Tolstoy, Nikolai Fyodorov was a saint, whose programme for the universal resurrection of the dead was ‘not devoid of sense,’” Naiman remarks. If the premise was supernatural, its implementation required some degree of science. The Philosophy of the Common Task was a handbook created by several of Fyodorov’s followers after his death. “ ‘The common task’ was the physical resurrection of the dead,” Naiman remarks. “All mankind, Fyodorov wrote, was under a moral obligation to identify and collect the dust of its ancestors…These discoveries would entail not only bringing the dead back to life, but finding space for them to dwell. The deserts would have to be made fertile; other planets would have to be made habitable, and modes of transport to other worlds developed In effect, Fyodorov was providing a scientific basis for religious myth, the way other nineteenth century scholars traced the historical existence of Jesus Christ.” Sounds more ambitious than Einstein’s project of producing a unified theory and probably underscores the excesses of trying to unite science and imagination that have lead to orgone boxes and scientology. However, Fyodorov’s "common task" did beget imitators in the world of art, at least. George Romero’s classic Night of the Living Dead brings his theories to life--if nothing more than as an exemplar of the horror genre on the silver screen.